The 2017 MySQL Community Team Award was presented last night at the MySQL Community Reception. As part of this event the MySQL Community Team made a presentation to Alex Rubin of Percona for solving a bug that was report over a dozen years before. The initial bug report was files September 12, 2002 MySQL Does Not Make Toast but Alex demonstrated how to solve the problem in Fixing MySQL Bug#2: now MySQL makes toast! . For this contribution and many years of long, hard work in the MySQL Community, the MySQL Community Team is providing this award to recognize this achievement (and we spent a surprising large percentage of the team budget on this award). CLI Interfaces are usually boring, ASCII-ish functional interfaces that are as about as exciting as paint drying or end user license agreements for your rice steamer. They get the job done but no excitement. 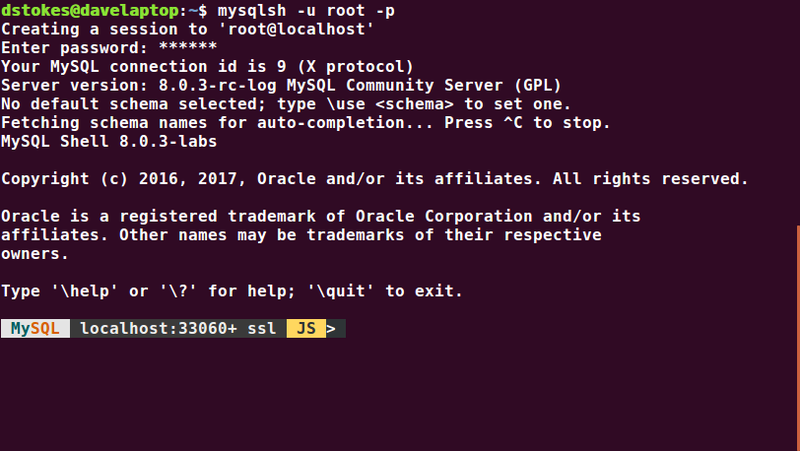 The new MySQL Shell (mysqlsh instead of mysql at the command line is a great new tool but like its predecessor it is not exactly visually dynamic. You can login as you did with the old shell but then you see that little bit of information in the command line. 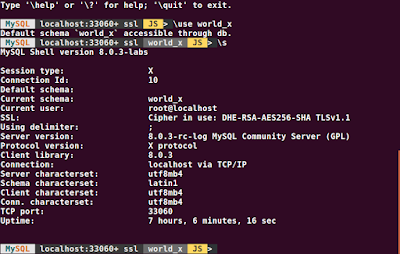 Pretty, for a CLI. So connect to a database and then check your status. And pow! your connected with SSL. 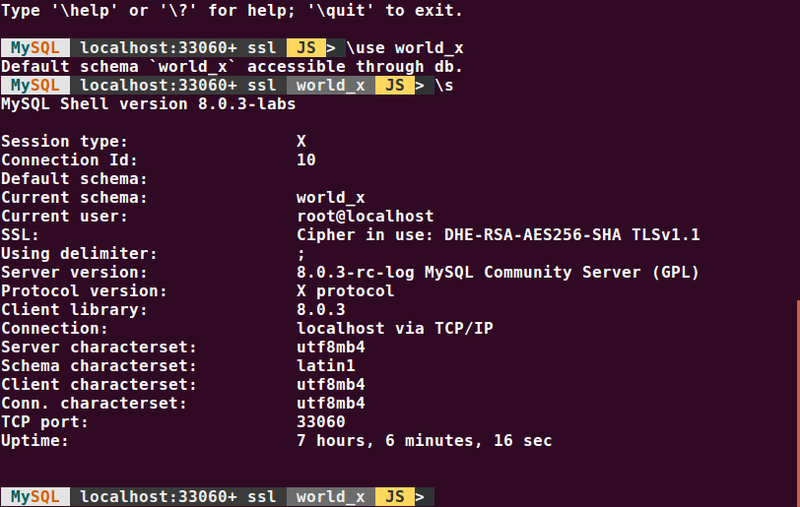 I am running the MySQL 8.0.3 RC and the labs release of the shell but I did not set up SSL/TLS, but there is it. And there is even command completion. Few of us cam remember all the syntax for MySQL Syntax plus all the table or schema info.Take this example. I switch into SQL mode (note the notice about loading the auto-completion information). The first query I got to SELECT * FROM and then hit a tab. Auto-completion wisely asked if I wanted all 752 possibilities. Then I entered SELECT * FROM ci before entering a tab. i was given two options, one for CIPHER and the other for the table city. 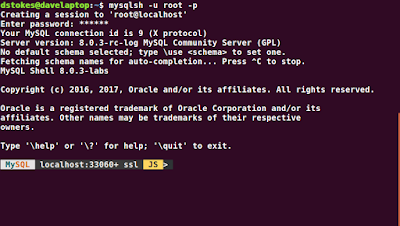 Please download this prospective new shell from Labs.MySQL.Com, kick the tires, and send feedback.